Airbnb is revolutionizing the world of holiday rentals and property investment. As with most new trends, there are many questions concerning Airbnb investment and the future of Airbnb in Madrid. How will Airbnb evolve? Will it be regulated and, if so, how? How will the market respond? In this article, we highlight what we think will be the key legal and market trends surrounding Airbnb investment in Madrid. To explore the validity of our forecasts, we (1) use the Airbnb experiences of other cities in Spain as benchmarks then (2) examine the accuracy of past predictions made by Moving2Madrid. Before and after shot of an apartment we recently renovated in Madrid. The kitchen was very far from international standards before renovation. If you’ve ever gone apartment shopping in Madrid, we’re sure you can relate. We started Moving2Madrid in 2010 because we believe in this city. It needs to modernize and adapt to new global demands for city tourism and relocation. Less than 20% of Madrid’s properties are rented, compared with 30-50% in other European capital cities. 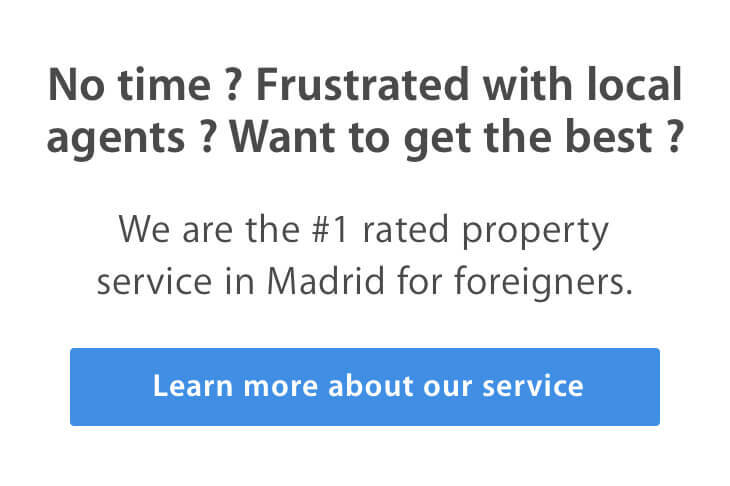 Based upon our conversations with many expats, we believe this is because Madrid lacks the high-quality apartment inventory needed to appeal to an international clientele. The city requires investment to bring properties up to the standards seen in cities like London and Paris. Airbnb makes it easier and cheaper to rent properties to tourists. Less sophisticated investors can now gain tenants. This, coupled with Madrid’s unprecedented tourism growth, which stimulates demand, should stimulate investment. We think Airbnb, and new holiday rentals, are positives for the development of the Madrid market. It will provide property investors with a unique opportunity to earn high rents in a market with limited competition. If you want to learn more about this unique Airbnb investment opportunity, contact us today. As with all things property related, to guess what will happen in five years in Madrid, you can look at Barcelona’s experience. What happened in Barcelona? In summary, there was significant growth of Airbnbs in the center of Barcelona. Shortly, 8% of all Barcelona properties listed on Airbnb. When this happened, the city decided to stop giving new licenses for holiday rentals in the historic center. If you want to rent your property on Airbnb for longer than a month in the center of Barcelona you must have an operating license. People that don’t respect this are fined. Only property owners who did their homework, executed the complicated paperwork and made the declaration(s) to ensure their holiday rental(s) were totally legal can rent their properties. Because they did everything properly, they are now in an excellent position. They are letting properties in a market with high demand where no new competition is allowed. After reviewing the data, we estimate that apartments in the historical center of Barcelona, with the proper licenses, have gained 80.000-100.000€ in value. In 2015, the hotel lobby in Madrid tried to limit the number of days people could rent their apartments as holiday rentals. The national council for competition repelled this initiative. This is great news for both property owners and tourists. Airbnb licenses are limited in other Spanish municipalities that bowed to the hotel lobbies. More Airbnb properties will appear in the future. These will mostly be small, generic properties in the cheapest neighborhoods. They will lack differentiation, professional management and/or a strategy for dealing with potential regulation. Another before and after shot. Special touches, like exposed beams, wood floors and natural light, appeal to a high-end clientele. Airbnb is still a new service. Most lifelong hotel owners have not learned to compete with it. In the future, we predict that Airbnb properties will experience increased demand. This will be particularly true in the premium and luxury segments, and for family apartments. This is because we forecast an enduring lack of large premium & luxury properties, coupled with continued strong growth in demand. In fact, Airbnb is acquiring luxury competitors to ensure it can evolve its brand and better cater to the luxury market. This is how we position ourselves: we provide premium, differentiated properties at reasonable purchase prices. Properties like this will be much more resistant to future business cycles and structural changes in the economy. When the government starts to limit licenses, which we think is ultimately inevitable, our Airbnb properties will be ready. Their paperwork will be in order. This is our long-term strategy: to position our Airbnb investment properties in a coveted market where competition is prohibited. Currently, Airbnb is still an underserved market. Property investment returns are higher and will continue to be appealing for owners who have learned to differentiate their properties and prepared for future legal changes. There will be announcements by the politicians of different parties to gain votes. No worries, Madrid local authorities do not have the real “competence” on legal grounds to change the nature of Airbnb laws. What they can and will do, as we said, is to set a fixed quota of additional licenses per area, which benefits our clients whom we do all the papers for, contrary to local owners. Be ready to read articles in the press, about potential regulations that outlaw 95% of airbnbs. It is not true nor possible legally. Similar announcements have been made in Canary Islands and Baleares, and it as revoked in each case for the same reason: the local authorities do not have the legal power to apply such laws. They can announce, vote them, but then it will be revoked at the national level for overstepping their local legal competencies on a legal level. Again, as an advanced buyer, you are gaining over beginners who cannot study in depth the legal implications and long term legal structures of the country they are investing in. This is another key advantage for you as an advanced buyer supported by our team and experience. The market will be regulated. This is good news for well-prepared buyers and investors like our clients. Invest and have your paperwork ready to take advantage of the changes. We predict your licensed Airbnb property will gain 80.000 euros of value when Madrid regulates. Contact us today to take advantage of this unique opportunity. We have a track record of consistently achieving above market returns for our clients.